We offer complete business storage solutions for extra inventory, displays, paperwork files and more. We offer private units using your locks and keys. Our friendly office is open daily to help answer all of your questions. Could your business use a little “room” to grow? 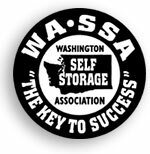 Using All About Storage is a good business decision! Organize important documents, reports, inventory, etc. Is your business expanding, or overstocked? Do you need space for files, tools, machinery or merchandise? All About Storage has all the extra room you need. Let our space become your space. We offer individualized solutions for your unique business storage needs. Just ask! What can All About Storage do for your business? We offer a variety of secure spaces to store your supplies, briefs, records, inventory, samples and more. Enjoy easy access with our convenient hours. Are you converting from paper files to computer files? Have you run out of space to keep your files and supplies? Have you ever wanted to obtain more tables, chairs, linens, and other supplies, but have no place to store them? All About Storage offers larger units for those big, hard-to-store items. Keep all your extra stuff under one roof with easy access and convenience. All About Storage makes storing and organizing your inventory a breeze with spacious units. Take advantage of using multiple units for specific product lines and promotions. Stay clean and organized at All About Storage. Store your paperwork, records, invoices, and even your equipment and tools in one of our larger, tidy units. Our convenience and early access hours can’t be beat! Do you have a client who needs a storage unit during their move or while they are staging their home for sale? how about a client who needs to rent a moving truck or trailer? All About Storage offers a wide variety of unit sizes to accommodate everyone’s needs. As a U-Haul affiliate, we offer every size of truck or trailer to make the move easy. Are you tired of storing your inventory and records in your home or in the trunk of your car? All About Storage offers units to store your product samples and business products. Imagine the luxury and convenience of a space of your own with easy access.